leaving my heart wide open. 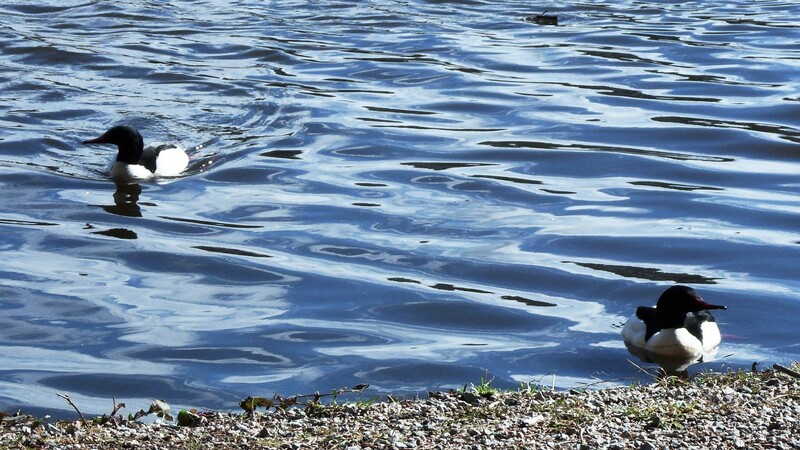 A pair of Merganser ducks captured on an early spring day at Lost Lagoon on the edge of Stanley Park (Vancouver, B.C.). Two snow days have resulted in long walks through a Narnia inspired forest as snow not seen since the blizzard of ’96 keeps on falling – our small corner of the world unrecognizable, unexpectedly draped in white. No matter which direction we faced, we were greeted with a snapshot of a typical Canadian winter that often doesn’t grace our shores – we could hear children laughing as we walked beside the lagoon and smiled as we saw older men carrying their snowboards home after some outdoor fun, we even passed a happy man on cross-country skis as we made our way over to the inner trails, eager to explore even more woodsy, wintry scenes. Those of us revelling in an early spring had to change tack – evidence of newfound creativity could be seen in the three round snow sculptures representing our local chickadees sitting together on the icy newspaper box at the corner, bringing a smile to all who might pass by. My favourite was a chubby owl sitting on a local bench looking very Hedwig-like as if waiting for Harry Potter to appear out of the whirling snow on a rare visit to Hogsmeade. Recently, I awoke to my first blue sunrise, the apartment infused with a cool wintry light, as bruised looking shadows fought to move beyond standard window blinds enticing me to look outside, to see the landscape enveloped in frosty hues with just a smudge of gold hinting at the sunshine to come. This short winter month has now entered the record books as the coldest February in a part of Canada well known for its mild winters. On brisk walks, I find myself counting all the green buds I can see and dreaming of drinking cups of hot tea outside on a bench underneath a warm sun. The sounds are there, the blackbird choral group has returned to their chestnut tree one street over, their beeps and trills filling the blue sky, and before our latest snowfall, I could see starlings and crows looking for nesting sites. For now, there are moments to collect, yoga classes down by the harbour to get lost in and books to be read at the end of day – spring will come in its own sweet time, sneaking up on us while our eyes are still dazzled by winter’s long stay. 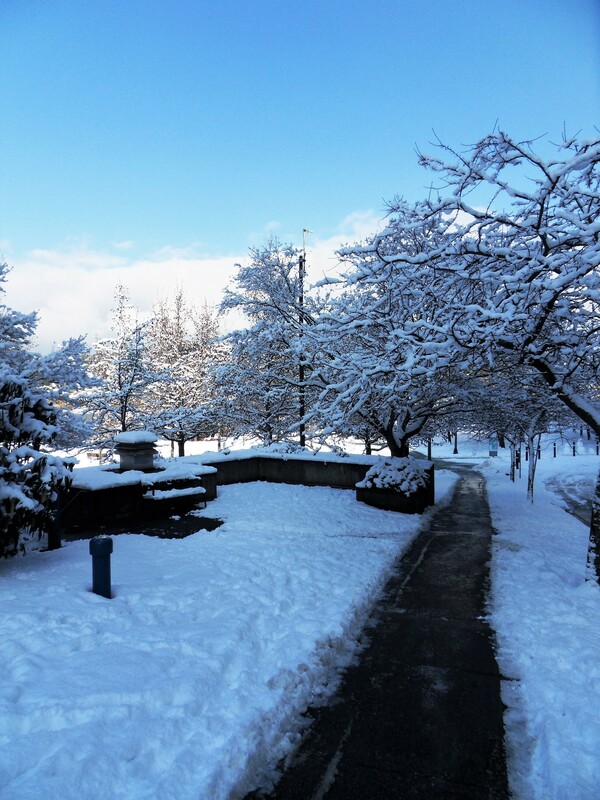 Could this wintry path lead us to Narnia? 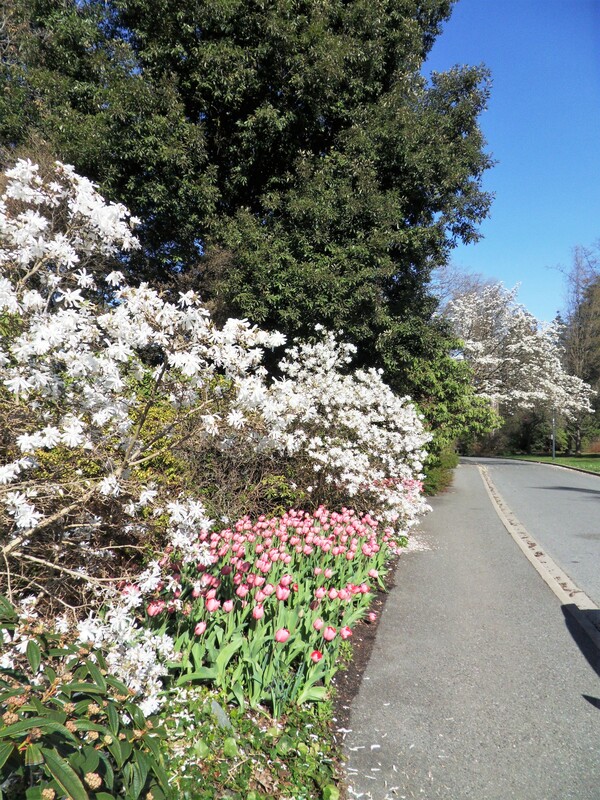 Our usual walk into Stanley Park (Vancouver, B.C.) looks magical! 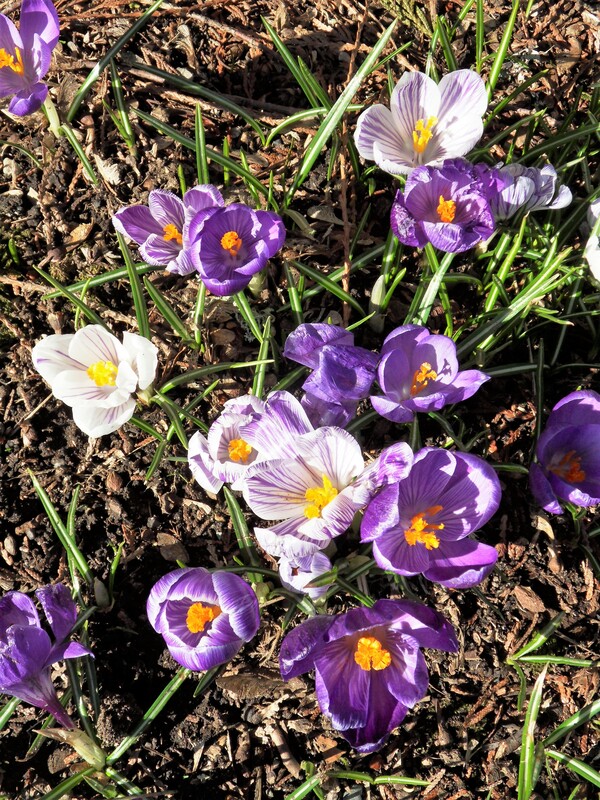 A beautiful bouquet of crocuses captured on a meditative walk through Stanley Park, true spring can’t be too far behind! In this second week of March with the threat of snow still a possibility, the cherry blossoms are bravely unfurling, the Canada geese are honking on nearby rooftops and all manner of birdlife have begun to pair up. As for myself, the new light moving through the apartment has me thinking of creating space (donating unread books, composting bundles of cedar and sage as well as participating in recycling events) and dusting off my collection of CD’s, it’s time to fill the air with music, welcoming spring. 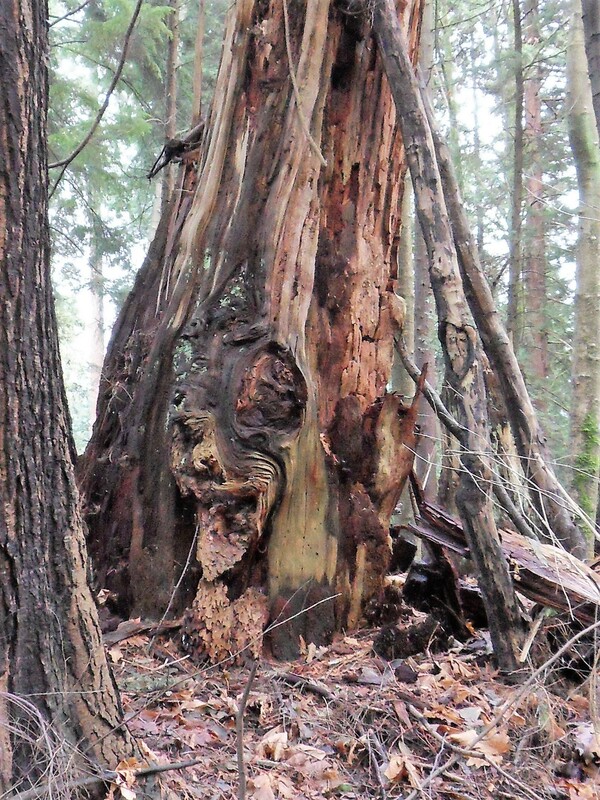 wer.i.fest.eria (V) To wander longingly through the forest in search of mystery. On a long forgotten winding bus route from downtown out to the bay to catch the ferry to Vancouver Island, we were greeted by vistas of darkest green and sapphire blue. The first snowfall of the season had laid its mantle down upon the mountains, leaving behind shimmering white underneath bright sunshine making this mid-winter break something to look forward to. 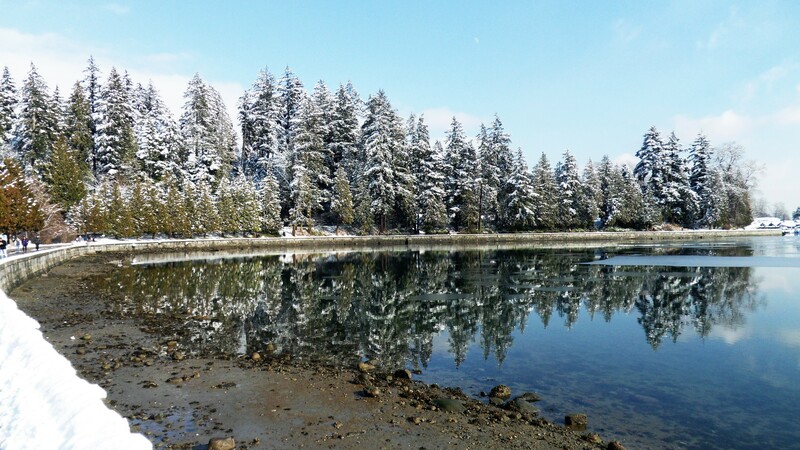 Our trips to the Island and our favourite retreat, Tigh-Na-Mara, are usually taken in early spring – even with a light dusting of snow, it was worth taking a chance on the weather to chase the sun! Tigh-Na-Mara, Gaelic for ” House by the Sea”, evolved from a single tent becoming what is now a 22 acre property nestled among Douglas fir, cedar and arbutus forest perched above three kilometres of beautiful beach with panoramic views of the Strait of Georgia. We’ve been visiting this peaceful spot since the ’90’s and it never fails to chase away the noise and grit of city living. On our first night, we walked underneath a starry sky after a leisurely evening meal in the lounge, the fallen snow telling us stories as our breath fanned the darkness – hoof prints bounding across the ditch alongside winter boot prints and hardy bicycle tire prints, the mystery of it all distracting us from the falling temperature. It was lovely to return to our treehouse studio, to tame the primal forces awakened by the bracing cold and retire before a lit fire. We were delighted the next day to find seats at the famous local bistro called Taste just down the road, our plan being, to fortify ourselves with a tasty lunch for an invigorating walk through Rathtrevor Park and onto the beach, a loop we discovered that allows us to wander through a variety of enchanting trails in search of wildlife. Just as we began our walk to the main trail, I saw a beautiful deer nibbling on fallen fir branches by the side of the road, pausing for a moment to watch her delicately eating the bright green new growth. 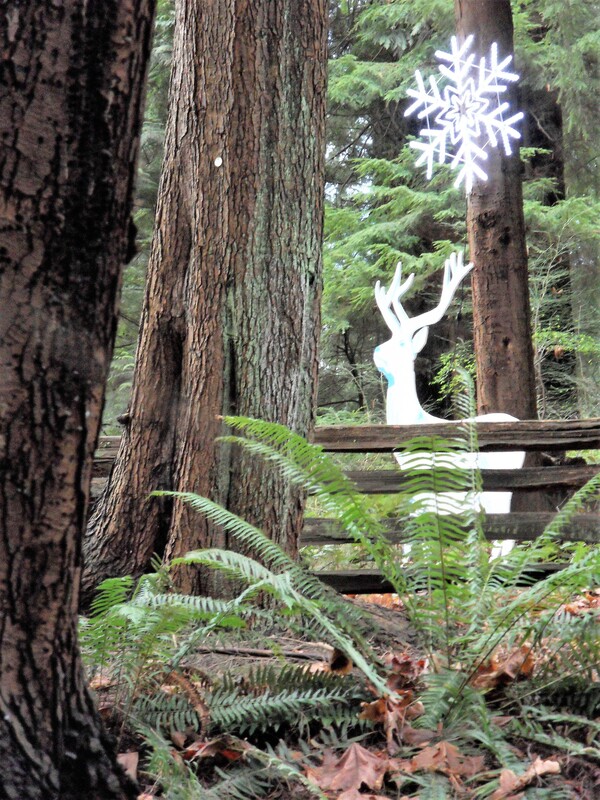 As we continued our walk through a winter wonderland, we were greeted by the happy sounds of woodpeckers feeding on unwary insects on the tall trees all around and more wild rabbits than we’ve ever seen on previous visits. The next two days were filled with more lovely walks, good food, and an unexpected musical documentary caught on television while tucked into our studio with views of the snow-dusted forest – a documentary on the birth of American music tracing the path of the blues we’re familiar with today back to when Native Americans wanting to escape being forced onto reservations found their way to New Orleans to hide in plain sight among the people there, infusing the new music being born with their haunting calls and drumbeats on the guitars they played, as drums were outlawed at that time, thought to be symbols of resistance and revolution. As the snow softly fell, we were mesmerized by this story, knowing that a veil was being lifted and we would never hear the blues again in quite the same way. This is why we cross the strait, it is here, in the heart of the wild, where we can find ourselves and once again, be forever changed by our time wandering through the forest in search of mystery. 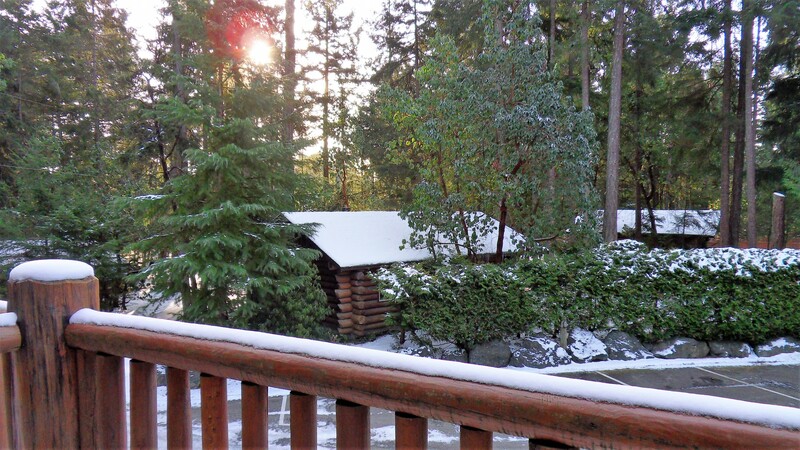 The winter view from our second floor studio at Tigh-Na-Mara near Parksville on Vancouver Island, B.C. 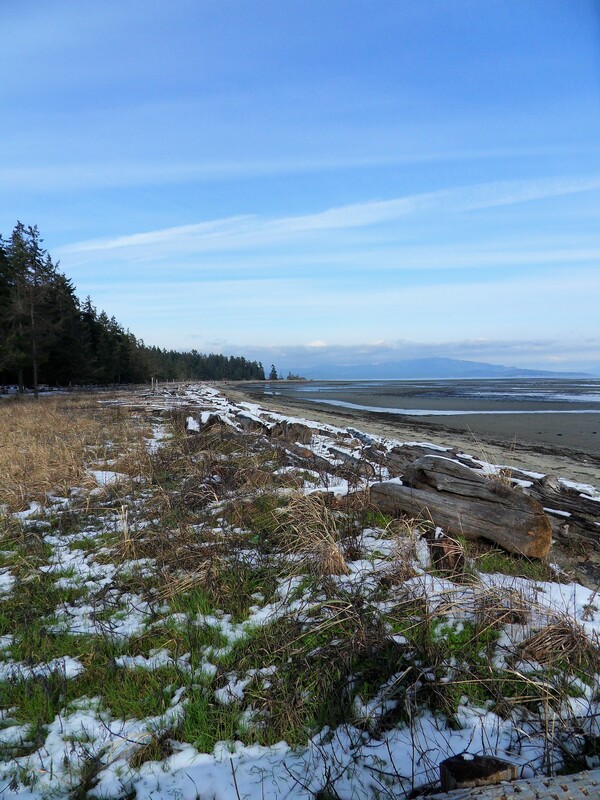 After a long walk through the forest, we are greeted by the ocean at Rathtrevor Beach not far from Tigh-Na-Mara. 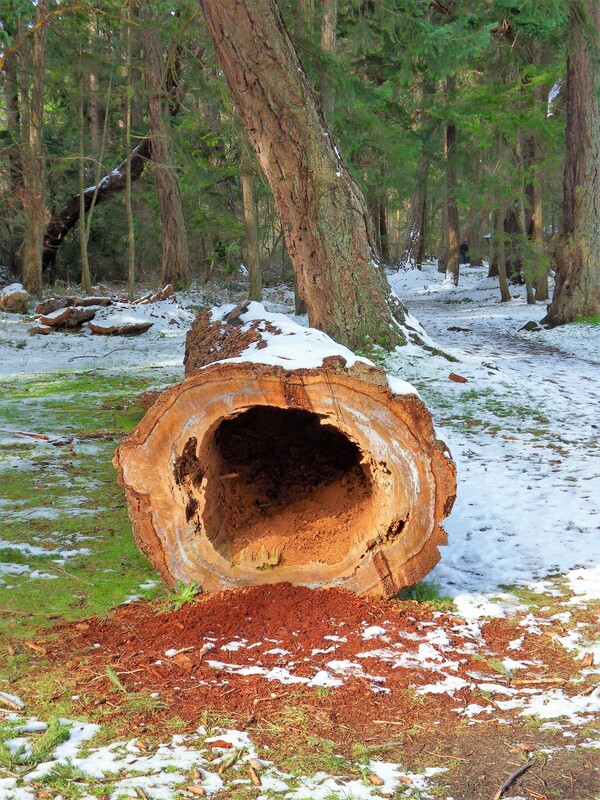 This fallen cedar in Rathtrevor Park looks like an ancient geode, it may have fallen during a recent windstorm. 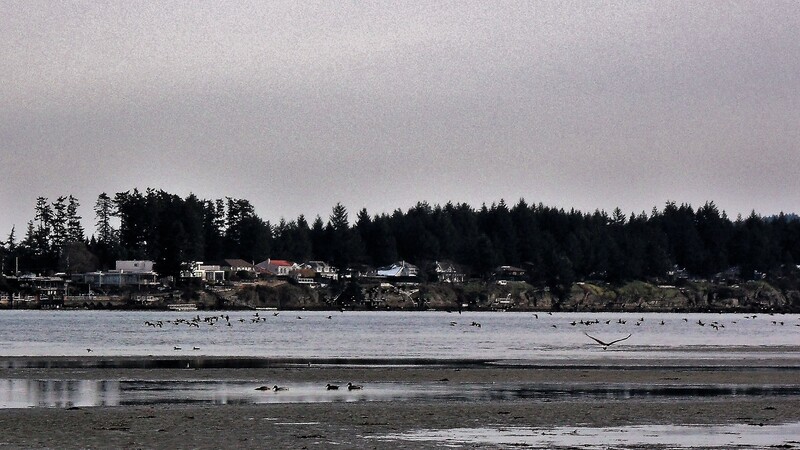 On our last day, we were treated to at least four eagles ( 2 adults and 2 juveniles) feeding in the shallows among the gulls and geese on Rathrevor Beach. It’s funny, one can grow up knowing they were born in a particular place, a name that finds itself on birth certificates and passports but until the land claims you, they are just words. 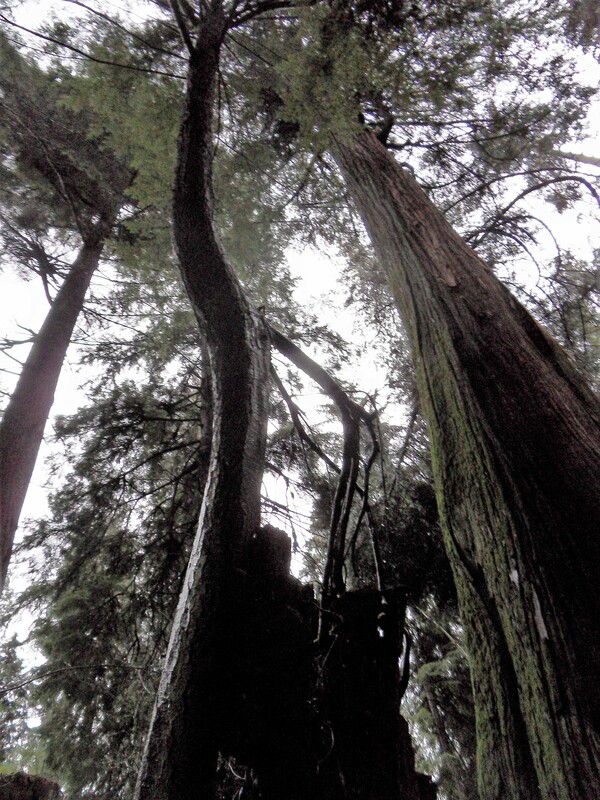 On this trip, as I carried the last of my father’s ashes to be scattered, I suddenly and viscerally felt connected to this place, blood to blood, Vancouver Island, knowing that I was home, no matter what. Snow hasn’t quite fallen yet but the scents of winter make an appearance in both my mother’s kitchen and mine lately, filling our homes with warming spices as homemade soup bubbles away on stovetop and counter. 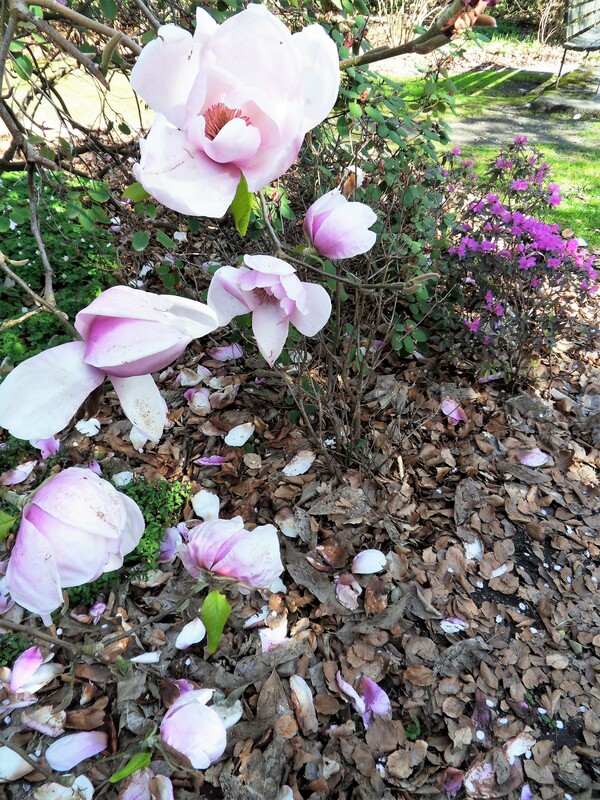 Spring-like temperatures and sunshine have nudged delicate white snowdrops and hardy crocuses from their beds, their early arrival making way for creamy camellia and pale pink cherry blossoms. A swathe of bright yellow daffodils have laid claim to a hillside down by the ocean creating a postcard setting rivalling any day in a spring yet to come. There seems to be a reluctance to let go of December’s sparkle and glitter – amid murmured gasps at the Vancouver Art Gallery’ first fashion exhibit, Guo Pei: Beyond Couture, I walked through rooms filled with posing mannequins draped in fairy-tale gowns meticulously embroidered with metallic floss and sewn with the finest Swarovski crystals, their slim silhouettes casting magical shadows upon the walls, some wearing crowns on their heads like ancient Arthurian queens. Mingling among eager young fashion students and the many who couldn’t stop taking pictures, one lone woman took careful notes at the feet of each mannequin as I belatedly realized my own notebook was still at home, leaving me hopeful that my memory of this enchanting afternoon would find its way onto waiting pages. After all the glorious colour and shine, we were treated to a gallery wall screening of Guo Pei’s opulent designs – as each lovely model walked down the darkling runway, gasps from the art gallery’s patrons continued, leaving me with a feeling that the festive days of December had indeed lingered on. 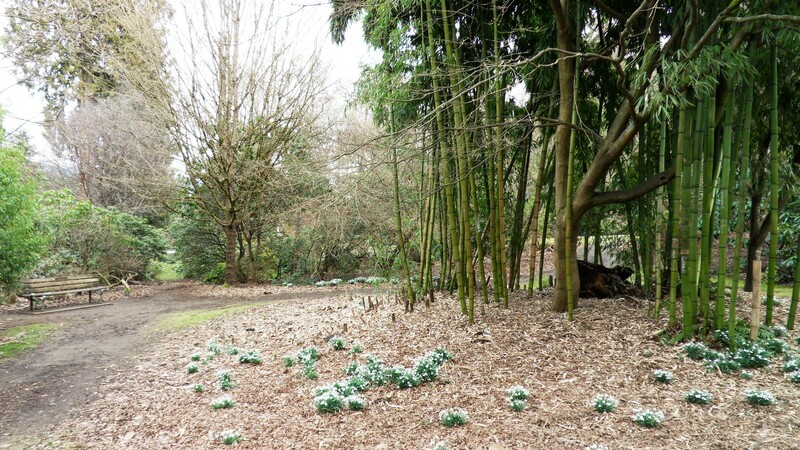 This year could well be a winter without snow but with several weeks yet before the turning of a new season, this remains to be seen – a recent walk through the damp and moss draped forest revealed newly unfurled spring green ferns amid bushes still heavy with pearl-like snowberries. A sweet silence greeted us, broken only by the call of a lone raven among the gentle sounds of grazing chickadees foraging upon the forest floor, deep winter casting its hypnotic spell, weaving a different but no less wonderful world. 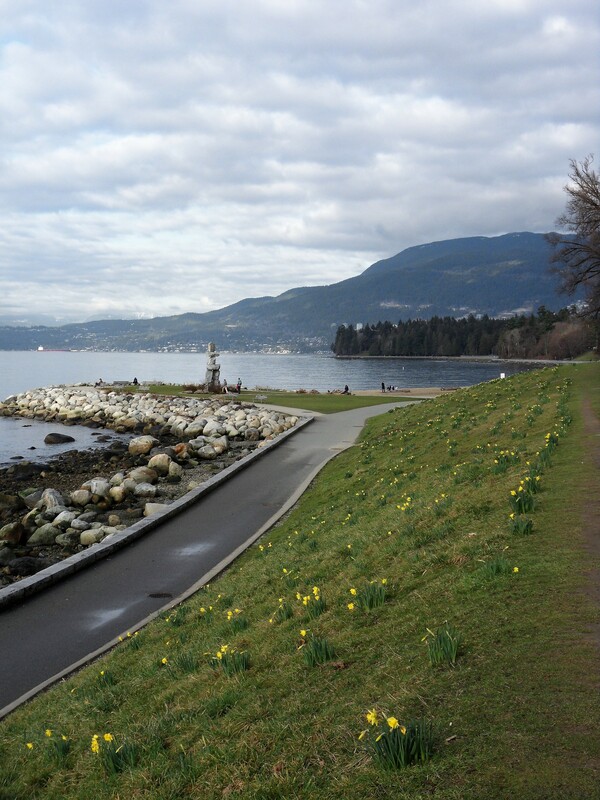 A swathe of brave daffodils captured near English Bay (Vancouver, B.C. ), a postcard in the making that made our local news! 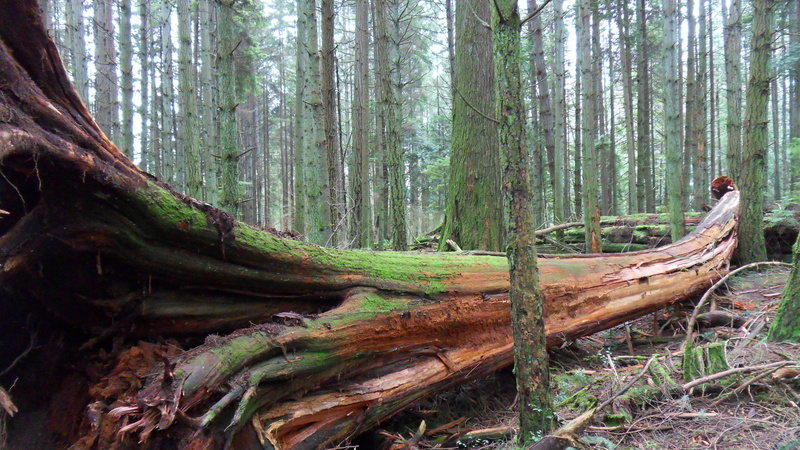 A fallen giant captured on another beautiful walk through Stanley Park (Vancouver, B.C.). 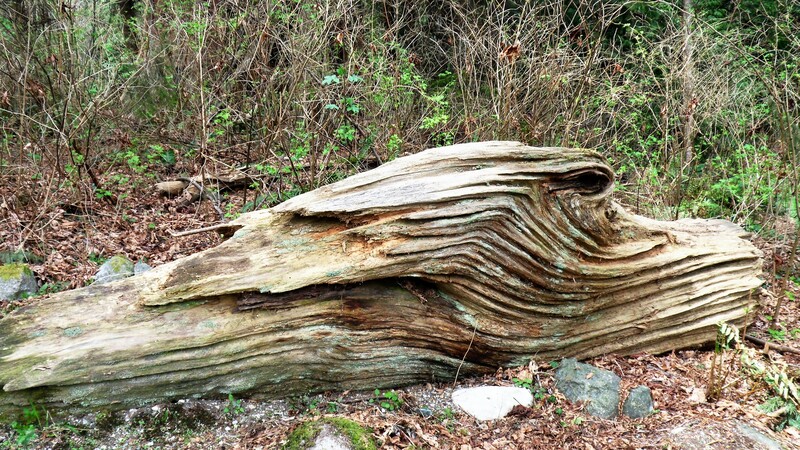 what stories it could tell! That snowfall finally came rivalling the blizzard of ’96, this is deep winter captured on the seawall by Stanley Park (Vancouver, B.C.). are falling from tainted lips. desperately searching for a way out. in the age of now. Winter curves captured in Stanley Park (Vancouver, B.C. ), offering respite in the age of now. I was inspired to write this poem when I saw an advertisement for our local news station (Global) promoting itself as a reliable tool for “navigating the now”.